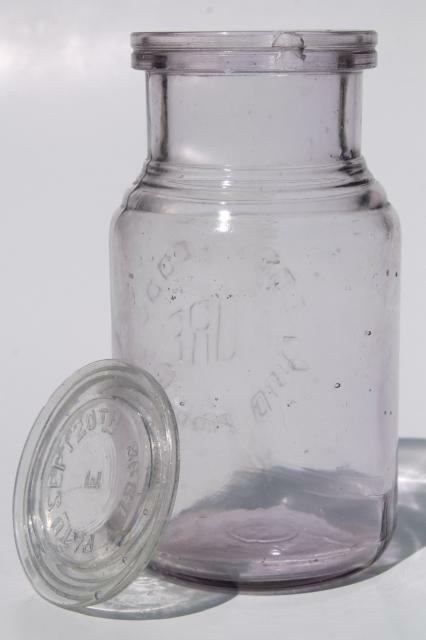 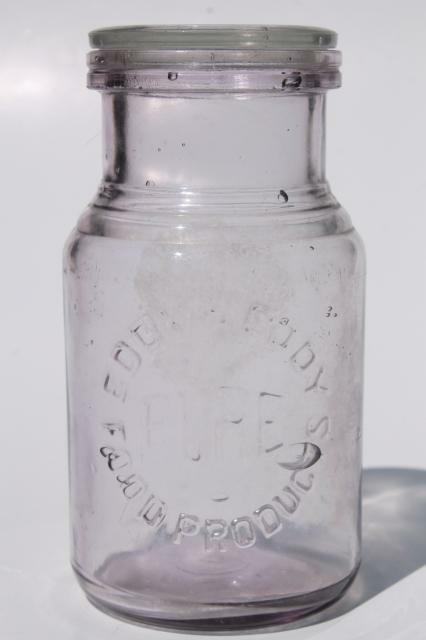 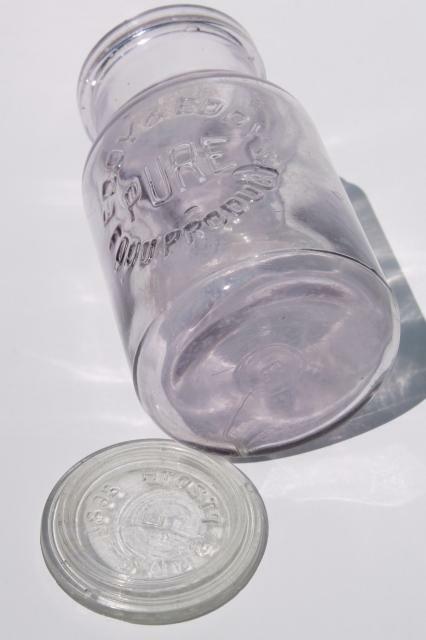 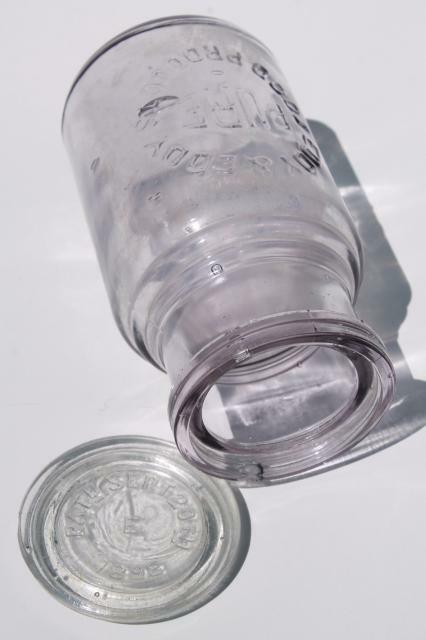 Late 1800s or early 1900s vintage glass bottle with original glass lid (no wire bail closure remaining). 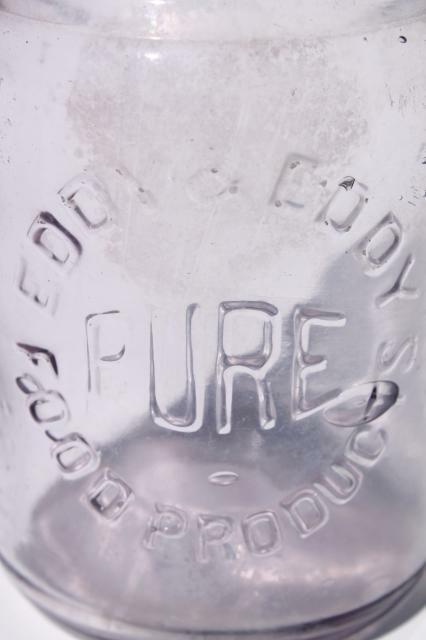 These is embossed Eddy & Eddy Pure Food Products - but we're not sure what this contained originally, as we haven't been able to track down any information at all about Eddy and Eddy. 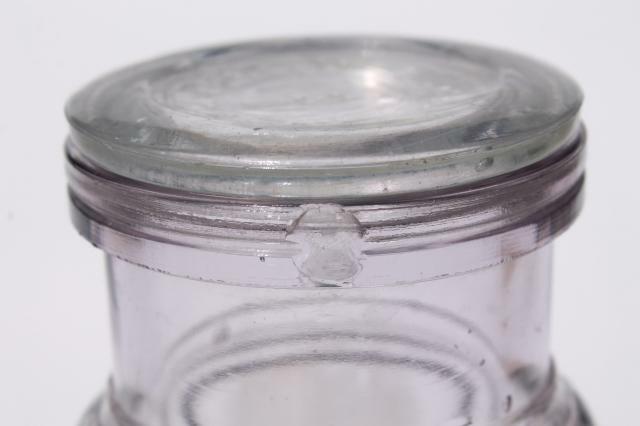 This stands about 5 1/4" tall, 2 3/4" in diameter. 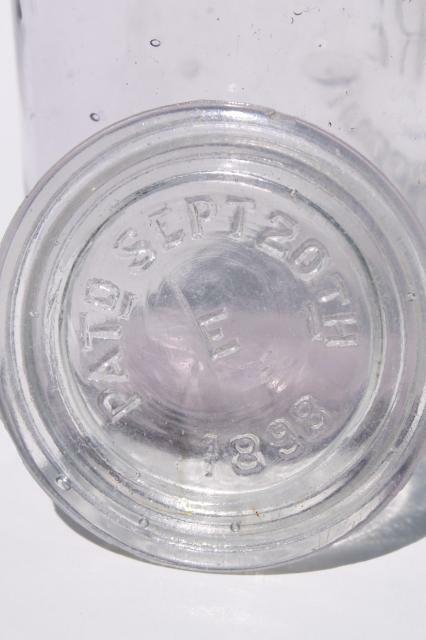 It's faintly purple from age, and has a small chip to the rim. 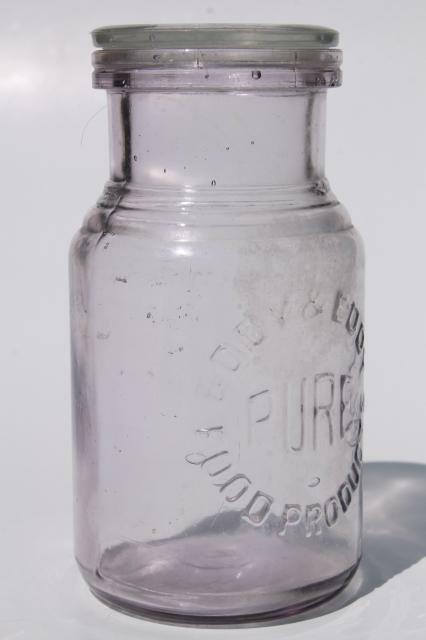 Looks pretty good overall!